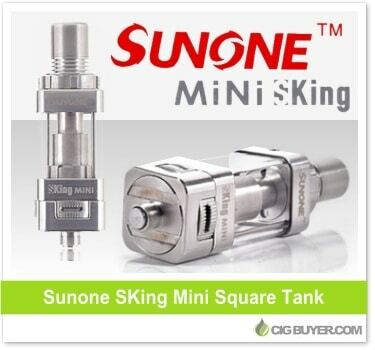 The Sunone SKing Mini Tank is only the second square shaped sub-ohm tank system besides the original SKing Tank. Perfect for use with square shaped box mods, the SKing Mini is a reduced size version of the original – with 4.5ml of capacity vs. 10ml and a few other upgrades. At 21mm in diameter, it has an improved top fill design accessed via the drip tip and utilizes 0.2 or 0.5 ohm BCVC coils made from Japanese organic cotton and US-made kanthal. It also features juice control and adjustable quad airflow.